Specialized in the manufacturing of e-liquids since 2010, Solevan France Group is experienced in meeting the requirements of the demanding electronic cigarette market. From design of the product through the production and distribution, the entire manufacturing process takes place in France. 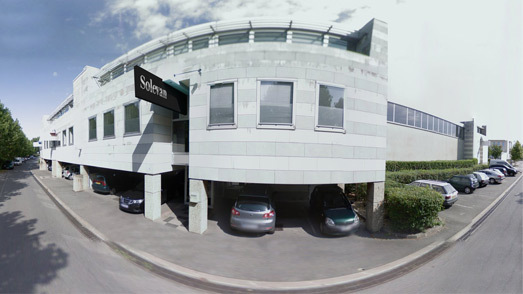 Solevan France Group guarantees high levels of quality and expertise by following all the latest European regulations. Our manufacturing facility combines productivity and safety to create e-liquids of excellence. Our range of automated and semi-automated lines have the daily production capacity to meet the volume requirements of all our customers. We also provide contract manufacturing with a full or a la carte range of services according to your requirements and wishes. Our R&D department is also at your service to optimize production of your e-liquids to tight deadlines. We have a full range of expertise available to you in order to meet all your needs. Our laboratory includes the latest generation equipment to provide high production capacities with up to a million bottles per month. We also offer a variety of packaging containers in all sizes and up to 10 liters, in PE, PET and glass bottles. Our variety of production lines allows us to be flexible and responsive. In order to meet all our customers requirements, our quality department supervises the production runs in our facilities which meet the strictest hygiene and safety regulations. 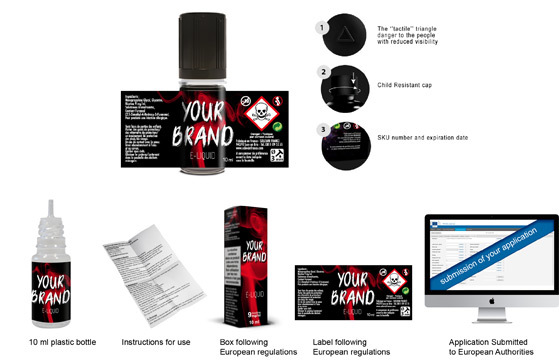 The recent growth of the electronic cigarette in France and Europe is the origin of the regulatory process (European Directive 2014/40/EU) and standardization. These regulations and guidelines are intended to regulate the market and to ensure consumer safety. SOLEVAN USA has a branch office in Miami (Florida) with a full team available to assist all foreign brands looking to continue selling or entering the European market through our headquarter Solevan Group France (France). Solevan France offers US manufacturers and brands the opportunity to produce under various compliances testing in line with TPD regulations and standards.